When I’m not at work helping our music team get the freshest records out to our clients *wink* – I’m usually at home working on some sort of music project or idea while some rerun of The Flash, The Office, Friends, Modern Family, or late night television is playing in the background. As I stare at my workstation, I sometimes will pull up a folder of some soul samples I found just to see if I can do something fun with it. And usually for me, after sampling an artist like Minnie Riperton and building a new idea around a vintage recording, I typically stop there and move on. For me it’s fun to sample and try another idea but for A-list music producers – a composition consisting of a sample is pivotal in shaping an entire music project – the question is…Can you afford it? Sampling plays a huge part in music and more so in Hip-Hop than any other genre. 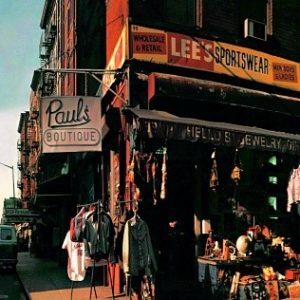 After all, Hip-Hop was founded on sampling when you go back to its NYC roots. Today, sampling old records is still a big part of the music that is played in rap today but more and more artists are getting hit with lawsuits or outrages clearance fees to make it happen. The difficulties of trying to clear samples from having to go through multiple approvals to trying to track down the original composers who are no longer working or even alive can be a nightmare. Finding samples and creating music in today’s technological generation is easy but clearing such work has become exhausting, burdensome, and most of the time… expensive. The classic second studio album by the New York rapping trio is one of the most “sample happy” albums of all time. The record samples 105 songs with 24 individual samples on one track alone! The Beastie Boys can thank the Dust Brothers for the innovative approach to the record but the financial side of things is another story. Clearing the samples on this record cost Capitol Records $250,000!!! And that was in 1989!!! Meaning that pulling off this kind of project today would cost somewhere north of $250 million assuming they get all the approvals. Thankfully, it’s a classic. 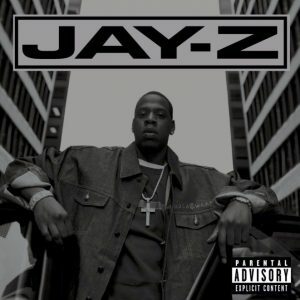 You can’t watch a Jay Z performance without hearing Big Pimpin’! With the catchy flute sample mixed in with the bounce of the Timbaland produced record, this ended up costing the rapper $100,000 to clear! It also got him into one the biggest lawsuits he’s publicly had to deal with. The estate of Egyptian musician Baligh Hamdi eventually sued on “moral rights” for the use of “Khosara Khosara” in Big Pimpin’ (as you can tell by the title, it isn’t exactly the most family friendly song). Fortunately for Jay Z and Timbaland, they won that lawsuit. This example is more so interesting for all of mixtape projects moving forward. For those that aren’t aware, mixtapes are usually projects that are done by the artist outside of major label deals. These are great because artists can creatively control everything and are usually free for the public. A lot of times, songs with uncleared samples get put on mixtapes because they couldn’t be budgeted for the big releases. 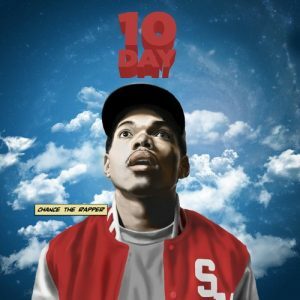 For Chance The Rapper, 10 Day was a mixtape that began his rap career. One track in particular, “Windows” samples jazz musician Abdul-Wali Muhammad who funny enough, practices law in New York. Since the sample wasn’t cleared (as usually is the case with mixtape projects), he had a copyright infringement case on his hands. Typically, rappers have been able to get away with this because mixtapes don’t technically make money. Well, this case by Muhammad makes the argument that the song is part of a project that has garnered eventual deals, shows, merchandising, and everything under the sun for an artist and therefore should be properly compensated. Checkmate (I think…). Although, this case has yet to be settled it can definitely change the landscape for mixtape releases (this includes Drake’s latest “playlist” project “More Life”) in the future. Sampling is a huge part of Hip-Hop. Although, people have their opinions about it, it is fascinating to see the various obstacles required to deliver a product to the listeners. Some producers have responded to sample clearances by replaying or “interpolating” samples for a cheaper price or even creating their own samples so it consists of the vintage sound. Even one of our fellow Music Supervisors here at PlayNetwork, Spencer Manio, dealt with some sample clearances back in 2008 with his production on The Saturday Knights’ “Mingle” (if you haven’t checked out this project you are missing out) – having to have Light In The Attic Records replay samples to prevent any sort of infringement. Whether you are an independent artist or a multi-platinum selling artist, if you decide to clear some samples, one question will always be asked… Can you afford it? Does that background sound familiar to you? If you can’t make out what it is, it’s actually off Bruno Mars’ hit song, “24K Magic,” played in reverse! Funny enough, Lamar went up against Mars’ for Album of the Year. One of the best cuts that was released in 2016. Gambino channels the classic 70’s by re-imagining Bootsy Collins’ “I’d Rather Be With You.” Although not a direct sample, this song shows how producers are creating the vintage sound without directly taking from an existing recording. The New Artist of the Year nominee samples the beginning of River Tiber’s “West” to create the eerie and yet soulful and catchy R&B song about the difficulties in a relationship.